I couldn't resist incorporating the inspiration photo found at "Inspired by All the Little Things" into my current crafting goal of creating Christmas tags. This tag features Reverse Confetti's Gift Card Holder Tag and Wreath Dies. 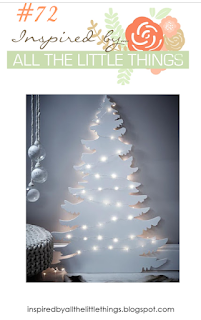 The sweet little Christmas tree is from Little Inker Designs. 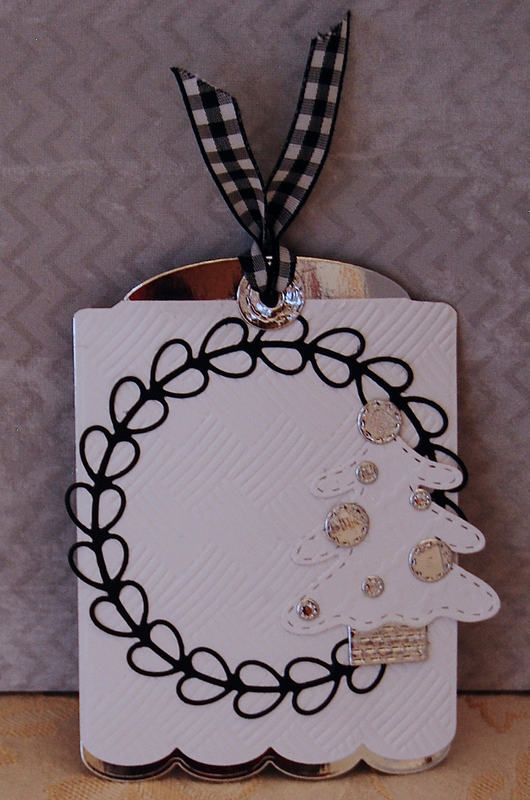 The silver card is pretty, but was a challenge to photograph....I think I lost that challenge, by the way. Such beautiful tag, the silver is perfect.